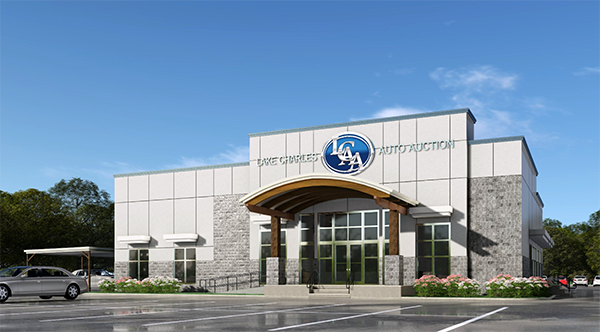 Lake Charles Auto Auction sits on 9.5 acres in Lake Charles, La. Mike Pedersen and Matt Pedersen are a father/son team who have been in business there since 1991. Lake Charles Auto Auction services 200 auto dealers each week, both in-person and via Edge Pipeline, an online auction service that allows dealers to buy remotely. The auction employs 30 full and part time employees from around the Lake Charles, La. Area. The auction will open a new a new 6,500 square foot office facility in the fall of 2018.